Browning and Rosey Easter Eggs Round Two! 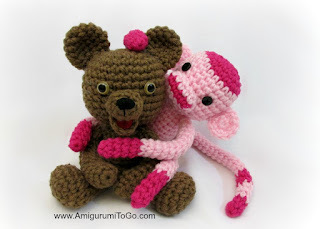 Oh what fun to be a bear and a monkey! 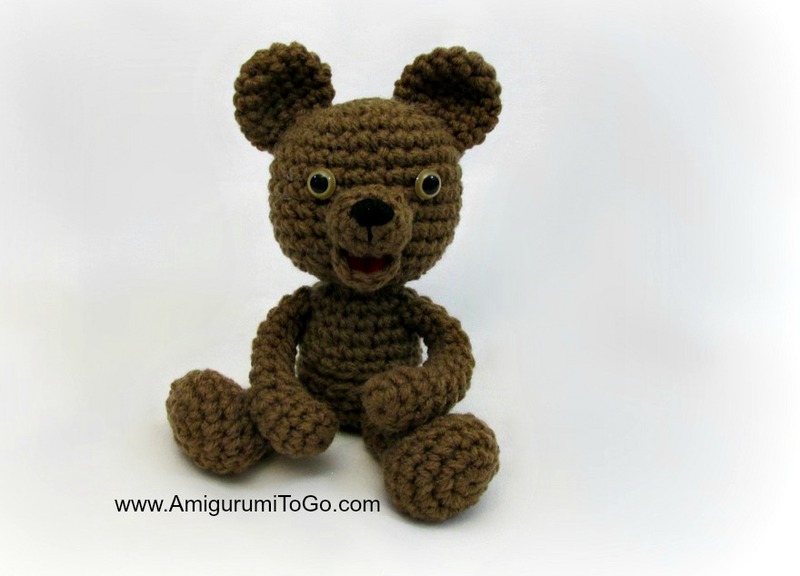 Tonight my youngest son and I watched Harry Potter and I did what I do best while watching movies, I crocheted! I wanted to use up more of those plastic eggs. 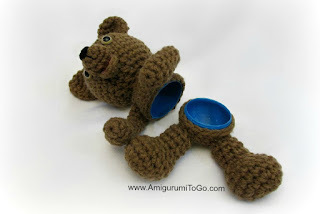 If you missed my latest posts I've been using plastic Easter eggs and yarn together to make really fun amigurumi, the kind of amigurumi you can hide goodies in! Rosey. I think those names suit them, don't you? 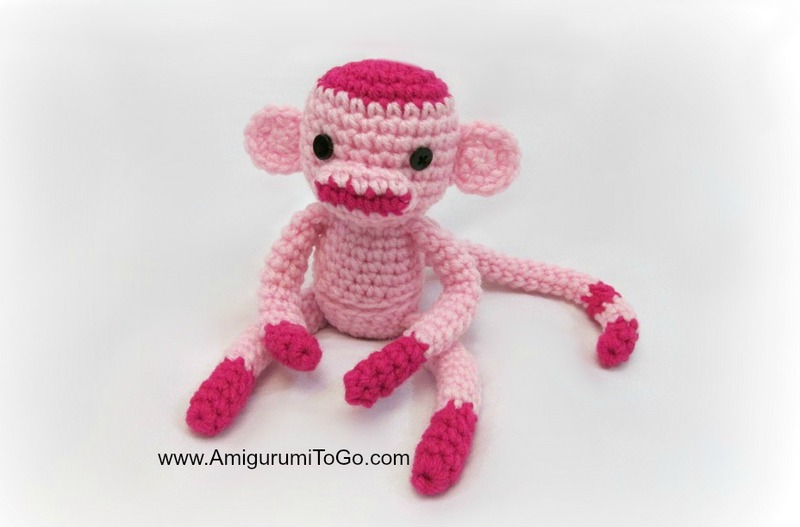 I made the monkey first and I adore her. She's a real cutey with long limbs and a belly full of buttons! 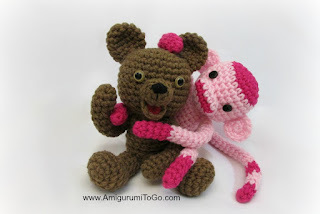 After I made Rosey I actually planned on making another monkey but the closest yarn to me aside from the pinks was brown, lol and I didn't want to get up so a bear it was! And I am so glad! I think Rosey was glad I made a bear too. She loves her friend! Ok, that's it for now. I'll call it a night since it's 2am in my part of Canada. I've had the best evening with my son watching movies and playing with yarn. I hope you all are having a wonderful weekend too! See you soon. Patterns are courtesy of Sharon Ojala of Amigurumi To Go. Free for all to enjoy! You may sell finished products. Donations of any size are greatly appreciated and will help keep the patterns free. Happy Crafting everyone! Soooo Cute! I want to make a Rosey! Thank you for sharing your talents! I think magnets or Velcro for Rosie will let her give her friends great hugs. They are great as is all your work. Is a pattern without eggs somewhere ? Where can we find patterns for you wonderful patterns. The monkey will be first followed by the bear. Ok thank you for letting me know. I don't have Facebook so I'll just check back here later. Oh they are so cute! Children can also put little letters with their concerns or problems in it and your little animal keep them as a friend. I love them!